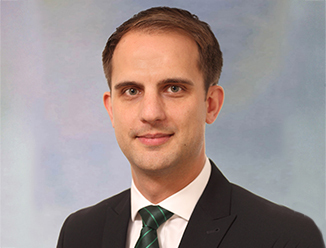 Luke is the Portfolio Services Sales Lead within CBRE’s APAC Occupier business. Luke and the Portfolio Services team assist clients by providing risk mitigation, governance, compliance and visibility of upcoming critical dates enabling stakeholders to make well founded strategic business decisions with confidence. Luke is experienced in working with clients end to end; from initial engagement, solutioning, pricing and contract negotiations, through to transition and on-going business as usual. Luke works with clients in all sectors and industries with local and global portfolio compositions. Luke has 9 years industry experience ranging from residential to corporate real estate from local level to global scale. Luke has experience in residential property working for the Countrywide group for 3 years prior to working for HSBC in the Global Corporate Real Estate team. While working for HSBC Luke oversaw the transition of over 10,000 property interests. During this transition Luke participated in a portfolio optimization and consolidation project aligning the real estate aims and objectives with those of the business while working towards a targeted cost reduction of $1bn USD over five years. Luke was subsequently approached to join the CBRE Portfolio Services Team in EMEA where he established the Middle Market Data Management team prior to relocating to Hong Kong. Luke has experience in lease administration, portfolio strategy, opportunity identification, analytics, workplace strategy, benchmarking, utilization, optimization and project management. In 2015 Luke published an article in the Journal of Corporate Real Estate entitled “An investigation into how Corporate Real Estate in the financial services industry can add value through alignment and methods of performance measurement”.